I love ketchup. And am not against Heinz, by any means. 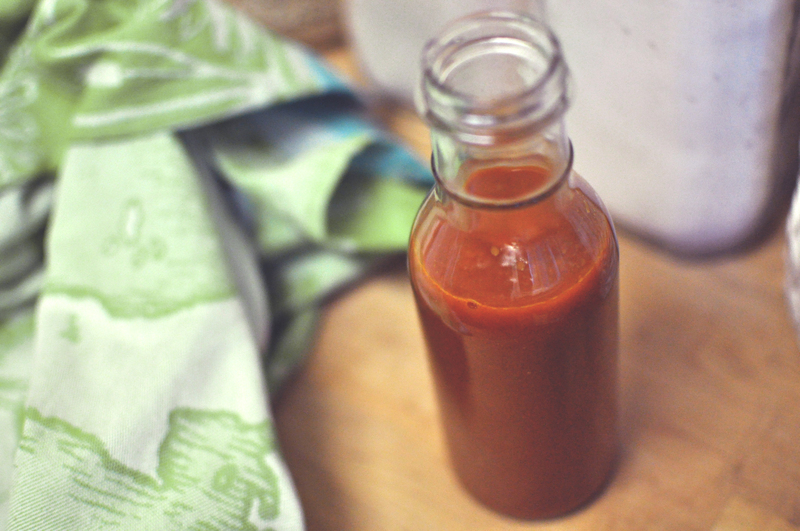 But in the past year or so, I seemed to have developed this obsession with making condiments. That might stem from the fact that sauces, dips and the like have always been my favorite part of a meal. I love smoky hot sauce on over-easy eggs, almond and peanut butter with strawberry jam or concord-grape jelly on whole-wheat toast, and all kinds of salsa, hummus, mustards, and tapenades. For some people, a meal doesn’t feel complete without some kind of meat or animal protein. For me, it’s incomplete when I am not able to accompany the main deal with some kind of sauce – you get the idea. So since I’ve crossed the line into making my own (aioli, mustard, salad dressings, etc. ), I’ve discovered that there are some things that are definitely worth the time, effort, and cost, while others really are not. So this ketchup-making is a bit of a surprise, even for me, because I had long-since ruled ketchup out on the time-commitment qualifier. A few years ago, in my college house on Hampton Street, I spent an entire Saturday making ketchup. I went and bought a food mill on Friday night, then 20-odd pounds of tomatoes at the farmers market the next morning. 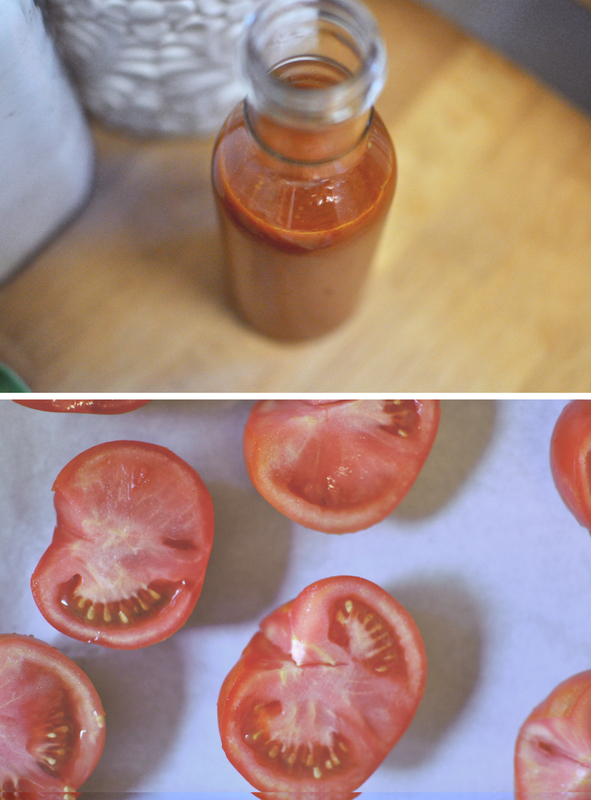 Back home, I proceeded to peel, seed, and mill the tomatoes, and eventually to reduce the seasoned mixture. In the end, I could not believe that my ketchup tasted nothing like ketchup (Heinz), and that the seemingly full and heavy 20-lb. box only filled three (tiny) jars. For my second attempt, I believe the time was well spent. Skins (and some seeds) are in the jar, but the flavor is wonderful, and the 6 medium-size plum tomatoes yielded an entire 12-oz, Rainbow Co-op purchased bottle. No food mill required. 1 tsp. apple cider vinegar preheat the oven to 375, and line a baking sheet with parchment paper. 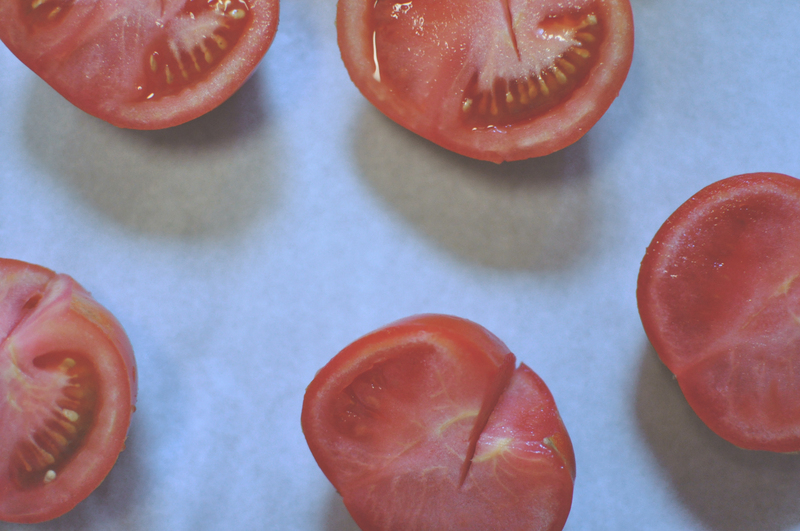 slice the tomatoes in half & core, then set on the tray, cut-side up. drizzle with 1 T of the olive oil and salt, and roast in the oven for 30 minutes. meanwhile, heat the remaining oil in a medium saucepan over medium heat. add the onion and garlic, and cook until just translucent, 5 minutes or so. then add the salt, some black pepper, the bay leaves, and coriander. cook together for a few minutes, stirring, then add the balsamic vinegar to the pan. remove from the heat. 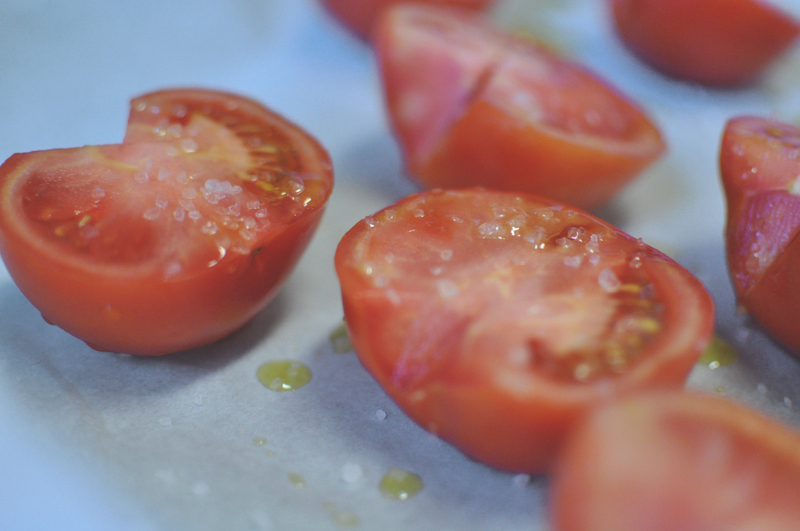 in a food processor, puree the slightly cooled tomatoes. remove the bay leaves from the onion mixture and add to the food processor, pureeing until quite smooth – (leave it running for 1-2 minutes). 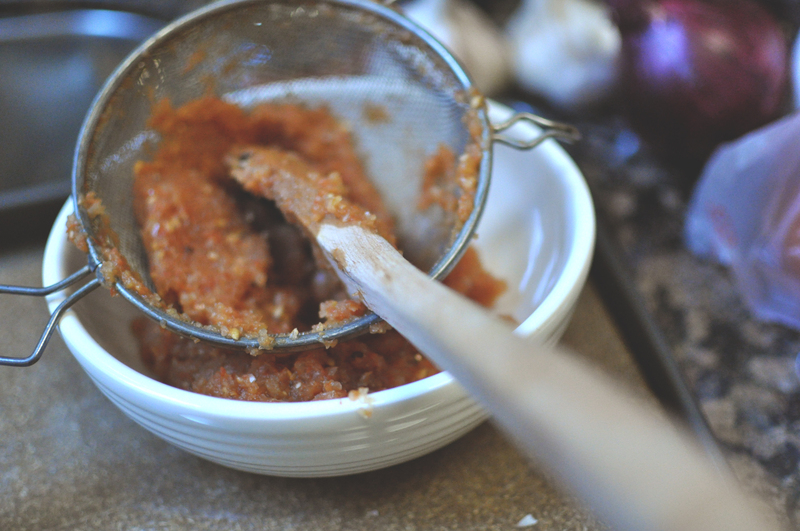 once finished, put the entire mixture through a fine mesh sieve, using the back of a wooden spoon to get as much liquid back into the pan as possible. Heat the strained mixture on medium (careful, it will splatter) and bring to a simmer. Then lower the heat and cook for 15-20 minutes, until slightly reduced. Stir in apple cider vinegar. Will keep for a little over a week in the fridge! Wow, this recipe looks fantastic. I’m going to have to give it a go before the tomatoes disappear! Thanks a bunch, Annaliese. Hope you’re doing well! I should try canning it. Maybe we’ll have to experiment on a larger scale some day! oh yes i remember that hampton ketchup! lurve you.